… Nahum Baruch, the father of financier Bernard Baruch, was a doctor and Colonel in Barksdale’s Mississippi Brigade. He was present at Gettysburg. As is my wont, I saw the thread sticking out and gave it a yank. Who was this Nahum? It turns out this Baruch was not Nahum, actually. Nor a Colonel, though he ended the War in Barksdale’s famous Brigade. He did have a successful son, was a doctor, and was at Sharpsburg and that other northern battle, too. There’s lots more to his story. From Schwersenz, east of Posen, then part of Prussia (now Poland), Simon Baruch came to South Carolina in 1855 at 15 years of age. He was, perhaps, worried about conscription into the Prussian Army, but equally likely, about his economic future. He joined the household of Mannes Baum who had emigrated from Schwersenz some five years before, and worked as a bookkeeper in the family store in Camden. His Battalion was assigned to Virginia and saw their first action near Yorktown that same month. They fought with General Lee’s Army of Northern Virginia in Drayton’s and Kershaw’s Brigades, seeing combat at Second Manassas, on the Maryland Campaign, at Fredericksburg, Chancellorsville, Gettysburg, in the Wilderness, and at Spottsylvania Courthouse. 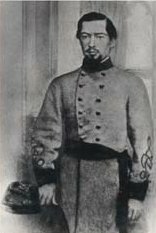 In August 1864 Baruch transferred to the 13th Mississippi Infantry Regiment and was appointed full Surgeon to date from 18 July. He probably served with that unit for the rest of the War. By then, Dr Baruch would have had considerable surgical experience. 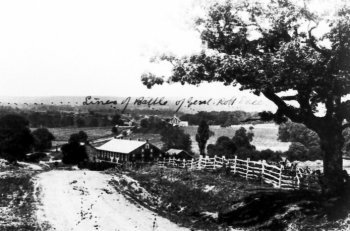 The 3rd Battalion was hard hit in two battles in particular: at Fox’s Gap on South Mountain during the Maryland Campaign, and at Gettysburg, Pennsylvania. On 14 September 1862, Drayton’s Brigade, part of Longstreet’s Command, was thrown into Fox’s by General D.H. Hill in a desperate defense against the assault of Federal General Reno’s IX Corps. The Battalion was severely damaged that day, suffering about 50% casualties, providing strenuous work for the surgeon in treating those wounded men who were not left behind on the battlefield. All day and night the work continued at the field hospital, and throughout the following day also the wounded came pouring in, many on foot, among them several captured Union soldiers, on two of whom I operated. The field hospital contained now 222 seriously wounded men, 10 orderlies, and 3 surgeons. 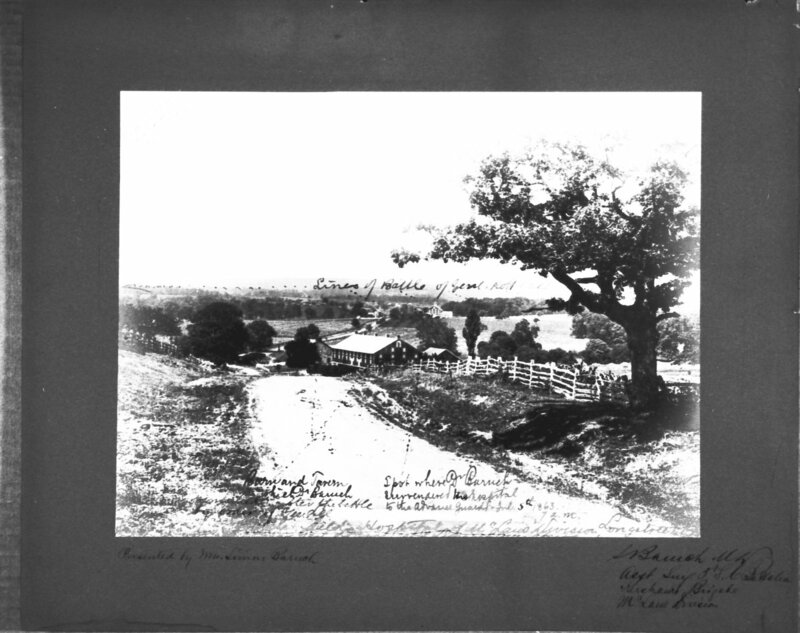 Baruch and the other hospital staff remained behind with the wounded when the Confederate Army retreated on 4 July 1863, and surrendered to the Federals at 7 a.m. on the 5th. He continued to treat the wounded there for about six weeks, and was then imprisoned at Fort McHenry in Baltimore. He was paroled in October and returned to his unit in December. At some point following, probably in the Spring of 1864, Baruch was relieved or resigned his commission on account of health, but he was back in service by summer and served as Surgeon for the duration with the 13th Mississippi Regiment. Afterward, he returned to Camden and was in practice as a physician. There he married Isabelle (Belle) Wolfe, a niece of his benefactor, Mannes Baum. He also organized the South Carolina Medical Society and was president of the State Board of Health. Son Bernard Mannes (1870-1965), a rather more famous Baruch, went on to a very profitable career on Wall Street, and became a financial advisor to US Presidents from Woodrow Wilson to Harry Truman. His vast fortune enabled him to donate and endow university chairs, medical facilities, and other philanthropies, many in his father’s name. Between these gifts and the work of various civic organizations recognizing his achievements, Simon Baruch’s name will probably outlive all of us. Simon Baruch is credited in a number of places with having been on “General Lee’s staff”: there’s no evidence of that. He’s also occasionally mentioned, in family and neighborhood lore, as being Surgeon General of the Confederacy. There’s no evidence of that, either. There were only two of those; David C DeLeon and Samuel P Moore. He’s also mentioned as an active member of the Ku Klux Klan in the years immediately following the Civil War. This is most often stated in websites and literature which also promote the International Zionist Conspiracy theory, among whose favorite targets is Bernard Baruch, which is suspicious. Membership in the KKK is plausible, but I don’t know for sure. The portrait of Simon on this page is from the collection of the Camden Archives and Museum. It was used on the cover of the Ward book. Legend has it that Belle Wolfe, later Simon’s wife, painted him in 1862. Perhaps this is that piece. thank you very much, there arent a lot of webistes about Simon Baruch, but more of his son, bernard baruch anyways this website is very helpful and i just want to thank you again! Thank you for having so much information on Simon Baruch. This website helped me with my Simon Baruch project a lot! Thank you so much! Thank you for the gracious notes, Alexa and Madison. You’re most welcome. Good luck with your projects. You too, Bobo, though your comment didn’t make it through the filter! Bernard Baruch says in his book “My Own Story” that his dad was a member of the KKK in SC. Thanks for finding that, Jefferson. Short answer: yes. The same was true for Federal surgeons. I’ve read a number of anecdotes of this nature. The wounded enemy are usually POW when presented for care, and policy was to treat well. There are also complaints in the literature of unequal or delayed medical treatment of prisoners, but I don’t get the sense that was the norm. trying to find out family history…do you know anything about the father of simon baruch, or uncles on father’s side…did any go to england? What a great personality were MR.Simon Baruch and son Bernard Mannes who was the financial advisor to US presidents? Do U have more info on such great personalities that have been Financial Advisor Colombia SC? Nicely done. I would still like to know why he chose the 13th Mississippi to transfer to? O que ?ɬ� Teste de BAruch? Foi criado por Simon Baruch fazendo experi?ɬ�ncias na pele. Thanks for the intriguing question! Thanks for the interesting article about my great great great great grandfather. 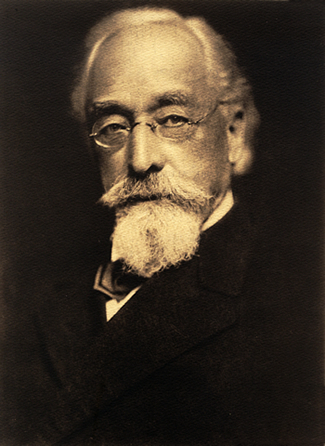 Simon Baruch is often credited as the guiding hand behind the New York State confiscation of the private wells and springs that now make up Saratoga Spa State Park. He was indeed a great proponent of the benefits of hydrotherapy and mudbaths, and he did loudly complain to the town of Saratoga Springs that their mineral springs were being depleted and ill-used by carbonic-gas and mineral-water bottlers. However, the actual confiscation of the private wells came about because of a series of lawsuits by private parties between 1909 and 1911 (one big case went to the US Supreme Court). Finally, Baruch died in 1921, while the grandiose neo-Classical bathhouses of the Park were not built till the 1930s. Baruch is a sort of mascot of hydrotherapy, but he was not a prime mover in the making of the Spa. @ Josh sounds like we are related. Simon Baruch’s nephew, Edgar Baruch, is my great grandfather. Thanks so much for the information! In Bernard Baruch’s biography he told the writer about he and his brother finding his father Simon’s kkk robes in an attic trunk and feeling proud. Stop trying to cover up this monster’s history. Thanks for the link, Becky. Another commenter above noted Bernard’s Memoir as source for Simon’s membership in the KKK, also. Perhaps that’s where Mr. Grant got he story?